Quick View Plus 2017 is built for productivity. View 300+ file formats without the need for the applications they were created in. Whether you're looking for a file viewer for your desktop or laptop, or need more advanced capabilities for eDiscovery, native file review, or computer forensics, Quick View Plus 2017 has everything you need. Quick View Plus 2017 provides one interface for searching, viewing, copying and printing nearly any file. It integrates easily with document management systems, review platforms, and litigation case management applications. Quick View Plus 2017 views more than 300 different file formats. In addition, it delivers extended features including metadata view and search, command-line integration with third-party applications, Microsoft PowerPoint speaker notes and comments view, Microsoft Word track changes and hidden text view, hidden cells in spreadsheets view, and Microsoft Project Gantt chart viewing support. Quick View Plus 2017 provides access to over 300 file formats from nearly any source complete with native file formatting. Search any type of content as it was originally created. Search based upon text based searches, or find the right area of a document based upon the thumbnail view. Quick View Plus 2017 provides access to virtually any file format, even Microsoft Project files. Employees can view any information at a fraction of the cost of purchasing the native applications. Want to integrate Quick View Plus into your software or third-party application? Please contact us for complete details about the appropriate Quick View Plus product and licensing designed specifically for companies looking to leverage Quick View Plus with their own software or third-party applications. (A) File navigation pane: Allows a user to easily navigate to files on a desktop or laptop. Toggle on/off. (B) Metadata pane: Provides helpful information about the viewed file. Toggle on/off. (C) Thumbnails pane: Shows small renditions of the pages in the viewed file. Toggle on/off. (D) File view: Displays a high-quality view of the file. If hidden content is available in the document, such as the tracked changes content in the file shown, then it will be displayed (if enabled in Quick View Plus 2017). (E) Search: Searches for content within a viewed file. Auto-search option allows for quick searches from the file to file in the file navigation pane. (F) File identification: Displays the name of the file format of the file viewed (even if the file format extension has been changed or removed). Quick View Plus requires a license key to be entered during the installation process. Your license key or serial number will be sent to you with your order details. When activating your license no personal or private data is collected, as stated in our privacy statement (see below). Installation of this software requires activation. The activation process will associate the hardware on which the software is installed with the serial number that was provided at the time of purchase. The terms of your purchase agreement will state how many times the serial number may be used for activation. The activation process does not collect any personal information. It only creates a unique hardware identification of the PC where the software is installed. If you uninstall the software, you may be required to activate the software again. The information collected during the activation process is used solely for the purpose of enforcing our license policy related to the software. Are updates (and new version releases) included in a Quick View Plus subscription? Customers with a Quick View Plus 2017 subscription will be notified via e-mail when any updates to the program are available. Any updates (or new version releases) are included at no additional charge as part of the annual subscription. Are there any requirements to run Quick View Plus? Quick View Plus requires Microsoft .NET Framework 4.6 and the Microsoft Visual C++ 2013 Redistributable Package. If you do not have the Microsoft .NET Framework installed on your computer, you will be prompted to download and install it. Can I try Quick View Plus for free? If you would like to try Quick View Plus, please contact us at (877) 829-7325 or sales@avantstar.com for more information. What operating systems does Quick View Plus support? Quick View Plus is compatible with Microsoft Windows 10, Windows 8 and Windows 7. Note: Quick View Plus does not support Microsoft Edge, the new web browser included with Windows 10. Quick View Plus does continue to support Microsoft Internet Explorer 11 that is also included with Windows 10. What's new in Quick View Plus 2017? There are numerous new features and enhancements to Quick View Plus. Click here for an overview list. How many file formats does Quick View Plus support? Why doesn’t Quick View Plus integrate with Google Chrome or Mozilla Firefox? Google has removed NPAPI support from Google Chrome. Mozilla has removed plugin support from Mozilla Firefox. As such, Quick View Plus will no longer integrate with Google Chrome or Mozilla Firefox. Quick View Plus continues to support integration with Microsoft Internet Explorer. Why doesn’t the integration with Internet Explorer seem to be functioning correctly? You want to match up the bit version of Quick View Plus (32-bit or 64-bit) with the bit version of the application you are integrating with. As the default version of Internet Explorer that launches is the 32-bit version, you will want to install the 32-bit version of Quick View Plus to establish the integration. Quick View Plus 64-bit would be used if you are integrating with the 64-bit Internet Explorer (not common). 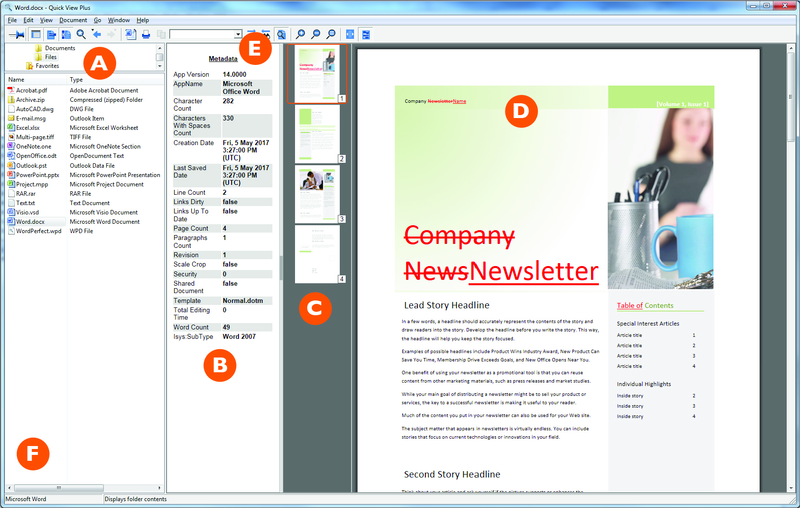 Quick View Plus browser integration supports Internet Explorer 11. Can I upgrade to Quick View Plus 2017 from a previous version? Can I use Quick View Plus in conjunction with a third-party program? Yes, please contact us at (877) 829-7325 or sales@avantstar.com for complete details. Why won’t my Microsoft Excel files display as a workbook? Quick View Plus 2017 displays Microsoft Excel files in a print preview mode. Sheets from multiple tabs in a workbook display as subsequent pages. Why doesn't Quick View Plus 2017 work with the Preview Pane in Windows Explorer, or I get a Preview Handler error? Quick View Plus 2017 does not support the Preview Pane feature. Files can still be set to be viewed within Quick View Plus 2017. If the Windows Explorer integration is set within Quick View Plus, you can simply right click on a file in Windows Explorer and choose "Quick View Plus" from the context menu. The file will then open in Quick View Plus. Or, if file associations are setup to open certain files with Quick View Plus, simply double-click on a file in Windows Explorer and it will open in Quick View Plus. How can I move my license to another system? If you have a system that is no longer using Quick View Plus and you wish to reclaim your license, simply perform an uninstall. The last step in the uninstall process will connect and return your license back to your pool for redistribution. How do I reclaim my license if something happens to my computer? In the event of a hard drive crash or similar event where you no longer have access to the computer or otherwise unable to uninstall Quick View Plus to release your license. Please contact support@avantstar.com and include your serial number and the cause for the license loss. They can work with you to manually return your license. Why do I get an error message when I try to activate my copy of Quick View Plus? Verify that you have an active internet connection and that you are running the installation/activation with an account that has local administrator rights. Verify that you are using your current serial number and entering it exactly as given (including dashes). If you have a company firewall or proxy server, please contact support@avantstar.com for IP and port information to whitelist the Avantstar activation site. If you have reached your license count maximum, you can uninstall Quick View Plus from unused machines to reclaim licenses. If you are using Quick View Plus integrated with a third party solution. It is recommended to activate Quick View Plus by launching Quick View Plus itself as a standalone application or during the setup/installation. Why do I get prompted for activation via my Internet Explorer integration? Internet Explorer’s Protected Mode is a security feature that will block Quick View Plus from being able to see the validated activation on your system. You can either disable Protected Mode or add the site you are accessing to the list of Trusted Sites (where Protected Mode is disabled by default). To test to see if this setting may be affecting your activation in such a way, try launching Quick View Plus as a standalone application outside of the browser. If it launches and runs without prompting for activation it should be valid, the browser security feature is likely blocking it when running through the Internet Explorer integration. Can the activation be done as part of a network scripted deployment? First run the primary Quick View Plus executable. Choose the “Unpack Scripted Deployment Files” option. This will extract the necessary setup files to a location on your deployment server. Create a configuration file and place it in the setup directory. A sample copy of a configuration file “Sample_Setup.cfg” will be unpacked to the directory specified above. Simply edit it and enter your serial number where noted. Then save/rename your edited configuration file to ‘setup.cfg’ and place it in the same setup directory for use. Then call the setup executable and pass the configuration file to perform the installation and activation with the serial number. (Ex. C:\qvp32sng\setup.exe setup.cfg). A copy of the Administrator’s Notes ‘admin.pdf’ will also be unpacked to the setup directory that contains full details on scripted deployment options. 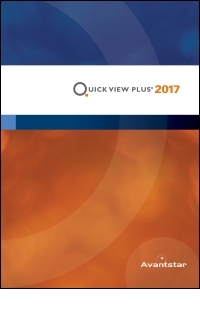 Quick View Plus 2017 requires an annual subscription. As a result, upgrades from previous versions are not available. Note: If you purchased Quick View Plus from the software store before October 20, 2016 and need information about your order or if you need to re-download the software (and you purchased extended download service) visit www.findmyorder.com. Contact us for more information on cost-effective volume licensing pricing for quantities of more than 50 licenses. Contact us for more information about cost-effective volume pricing on more than 50 licenses. Contact us for licensing information for complete e-discovery or legal review solutions. It's easy to bundle Quick View Plus with your own solutions. Contact us for more information.